Toledo-based blues singer Bobby G’s first release, Still Standing, met with good reviews in 2017. 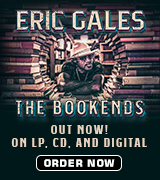 PhD In The Blues is his second release, on Third Street Cigar Records. As one might expect from an album produced by Johnny Rawls and John Henry, with all the songs written by Rawls and Linda Francis, the album ploughs a solid modern blues-soul line, with exemplary backing from the Third Street Cigar Blues Band, superbly recorded by Travis Geiman at Stone Soup Recording Studios. Bobby G has led an interesting life, from growing up picking cotton in Mississippi, to moving to live with his uncles in Toledo at the age of 15, working for the city of Toledo and raising a family, then rediscovering his love of singing the blues after retiring from his day job. 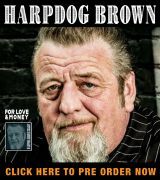 Now in his 70s, he does have an excellent voice, and one that suits the blues-soul material perfectly – smooth as honey but with a hint of huskiness. Likewise, his band is top class. The Third Street Cigar Blues Band comprises Larry “Entertainment” Gold on guitars; Johnny “HiFi” Newmark on bass; Scott Kretzer on drums; Danny Pratt on harmonica; Cadillac Dan Magers on keyboards; the Toledo Horns (Ric Wolkins on trumpet and Mark Lemle on saxophone); and Ramona Collins and Trez Gregory on backing vocals. Eric Sills added shaker and Johnny Rawls guested on backing vocals, rhythm guitar and keyboards. Gold turns in a series of short, smart BB King-influenced solos, such as on the beginning of the title track. Magers’ organ solo on “Whole Lotta Money” is quite outstanding and Lemie adds a number of fine solos, such as on the beginning of “All Night”. More importantly, the band as a whole lay down a series of primarily mid-paced grooves on which the rhythm section of Kretzer and Newmark excel, focusing the listener on the Bobby G’s vocals. And several lyrics suffer similar indignities. “Don’t Change Lovin’ Me” for example undermines the traditional songwriting construct that lyrics should rhyme (either perfectly or imperfectly). The lyrics of “How Can I Miss” struggle to scan at times and again several verses are repeated too often. Overall, there is a sense of that many of the lyrics have been dashed off without much effort or thought. For a songwriter of Rawls’ abilities, it is all rather surprising. 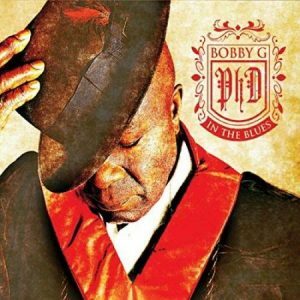 So PhD In The Blues is ultimately something of a mixed bag. Bobby G is a fine singer and there is nothing wrong with the music. But the songs themselves would benefit from more effort being put into the lyrics, which detracts from the overall enjoyment of the album.